Golden Root, Rhodiola rosea, has the synonym Sedium rosea and is also known as Rose Root and Artic Root. The dried roots are rose-scented and are used to stimulate the immune system. Adaptogenic properties similar to that of Siberian Ginseng. Is sometimes marketed as a cure to impotence. Traditional use of the leaves as a food. Golden Root is indiginous to the polar to temperate areas of North America. Europe and Asia. Prefers limey, well drained soil in an open sunny position. Drought and frost resistant. A perennial succulent, growing to 0.2m x 0.3m. 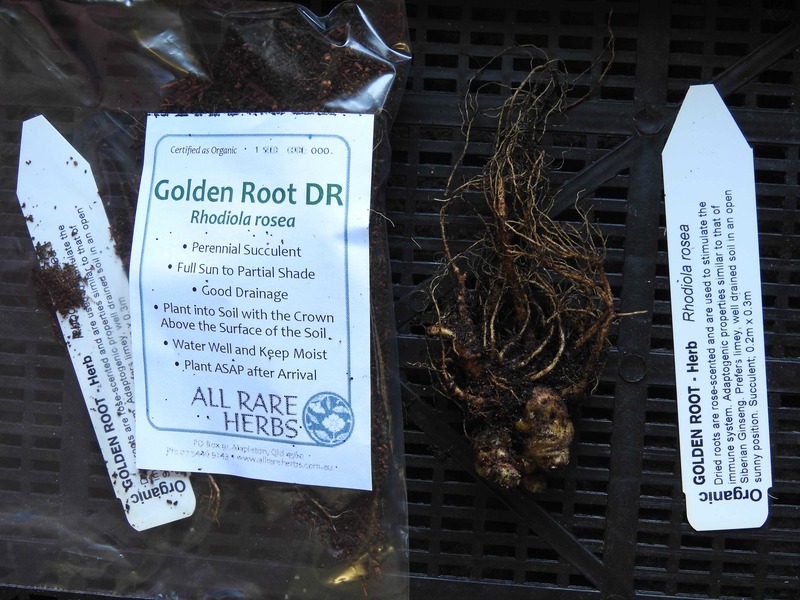 Be the first to review “Golden Root plant, delivery July 2019” Click here to cancel reply.